All of Nashville is on edge with a serial killer on the loose. A madman is trying to create his own end-of-days apocalypse and the cops trying to catch him are almost as damaged as the killer. 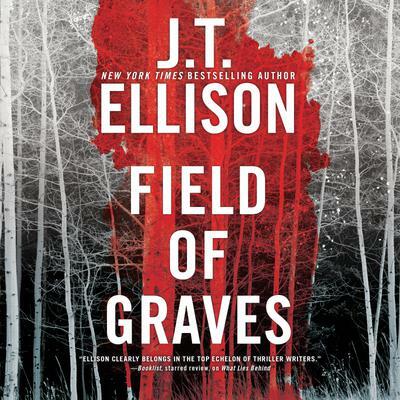 Field of Graves reveals the origins of some of J.T. Ellison's most famous creations: the haunted Lieutenant Taylor Jackson; her blunt, exceptional best friend, medical examiner Dr. Samantha Owens; and troubled FBI profiler Dr. John Baldwin. Together, they race the clock and their own demons to find the killer before he claims yet another victim. This dark, thrilling and utterly compelling novel will have readers on the edge of their seats, and Ellison's fans will be delighted with the revelations about their favorite characters.